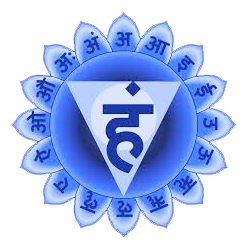 We practice Kundalini Yoga in a spiritual way that draws on ancient tantric knowledge. 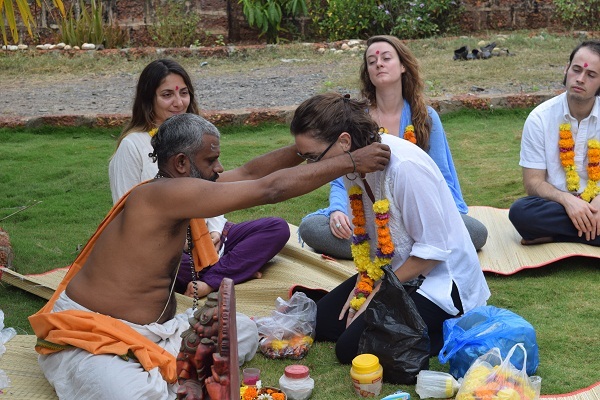 We offer serious spiritual Yogis our Kundalini yoga teacher training India which involves a series of meditational techniques (kriyas) that aims at cleansing the chakras and raising the kundalini energy from Mooladhara to Sarhshaha, eventually leading to complete metamorphosis and transformation of consciousness. Unlike its physical variant often being practiced in the West, practicing Kundalini Yoga at Vishuddhi Yoga means drawing your awareness inward to your center self(Atman). We awaken the consciousness in a way that invites you to think creatively out of the box and develop your intuitive mind. Good health, willpower, concentration, youth, vigor, vitality and peace are the natural outcomes as we go deeper into sadhana (dedicated uninterrupted practice of a Yogi with complete love and devotion) over the period of time. This method of kundalini works the strongest for your personal transformation. By gradually and safely awakening and employing the power of Shakti, you will benefit greatly from an elevation in consciousness, higher physical well-being and an expansion of awareness. Eventually, when you learn Kundalini Yoga in India, practicing Kundalini Kriyas will also help you living a harmonious and balanced life full of contentment and compassion!!! Having completed your Kundalini Yoga teacher training course of 3.5 weeks successfully, you can register yourself with Yoga Alliance International (YAI) to teach Kundalini Yoga to other students – both for your own personal transformation as well as for the transformation of others. In our daily lives we only use 10 percent of our brain. The tantric tradition says that the range of our mental experiences can be broadened. Experiences can be within the framework of time, space and object but there also can be experiences beyond this framework of time, space and object. Such experiences beyond time, space and object can happen when mind and consciousness expands beyond its given definitions and limits as we know and experience normally otherwise. When kundalini energy is unleashed and allowed to rise up within the chakras then fullest potential of human expression and talents manifest and we become a living genius in our own way. You are able to experience beyond the normal confinements of your mind. Talent resides in the kundalini. Talented and genius people are kundalini awakened. With kundalini yoga, you are able to focus your energy to achieve your goals. You can become the most talented and skilled person in your field. It starts with revolution and ends into evolution!! You should opt for this course if you seek deeper self-transformation. If you are a serious student striving at more profound and internal experiences than a tourist yoga destination offers. At Vishuddhi, we practice Yoga in a spiritual way avoiding distractions of loud music, parties and intoxication. You will feel more relaxed and connected with the world and yourself. Your life will be transformed into one which is more happy, healthy and harmonious if you don’t give up on the faith in the kriyas and philosophy. When wisdom arrives, man gets truly wise ! Kundalini is the true wisdom in the truest sense ! 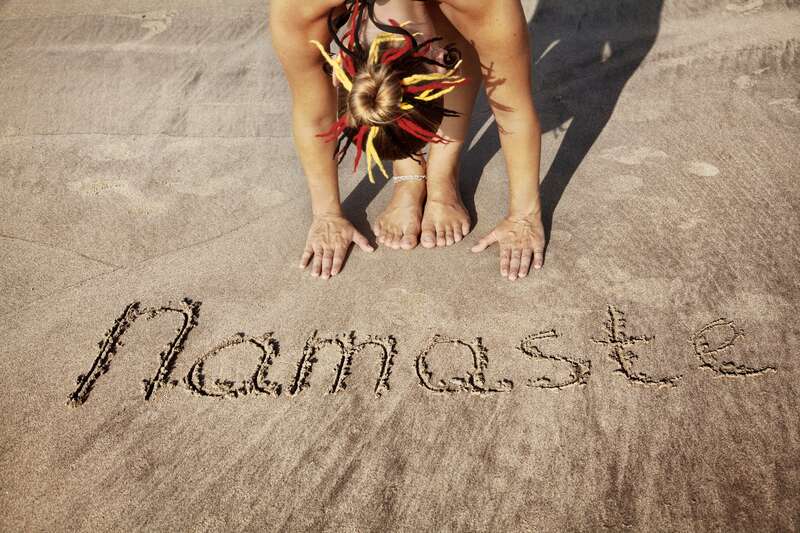 Why you should choose a course at Vishuddhi Yoga? Any student who is enthusiastic and serious about learning this healing and profound spiritual form of Yoga can join. No prior teaching experience with yoga is required. Kundalini yoga can be practiced at many different levels. Whether you have practiced power yoga and taught yoga for many years or you are an absolute beginner, you will benefit immensely from this course. 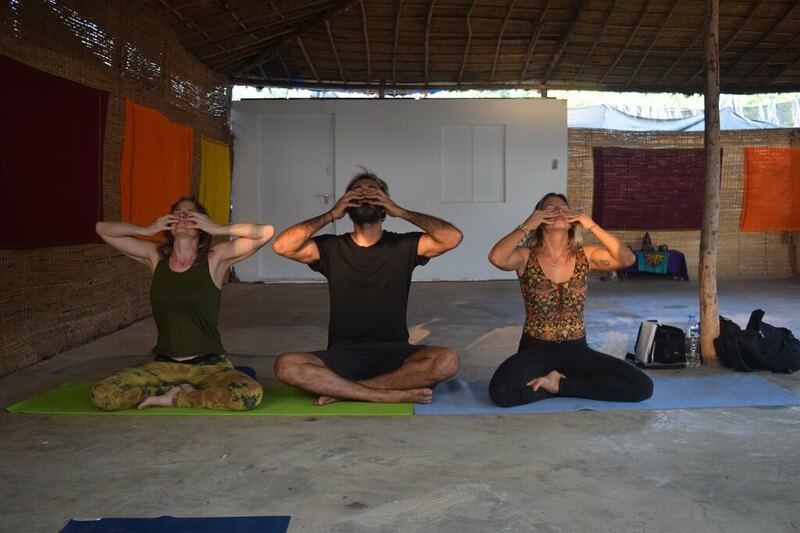 If you are already a Yoga teacher then you may wish to connect with people by emphasizing the healing, spiritual and meditational aspects of yoga. If you are a beginner then you may wish to begin your Yoga path with this deep spirituall and healing form of yoga or you may simply just wish to follow this course because you hold a deep desire to follow a higher spiritual path. Live Skype session with our Lead teachers for the relevant course to ascertain your readiness and prior preparation. 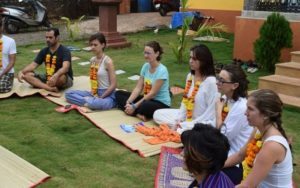 Note: Above steps are to ensure that you are well prepared and have understood teachers, course philosophy and Yoga school’s expectation from its participants. These steps are not an exam. We believe readiness and intent would take you a long way to succeed and make the most of your time, money and effort. What can you expect at Vishuddhi Yoga or we expect from students ? We expect you to follow the discipline and code of conduct being laid out for students and participants;we don’t allow non-vegetarian food, smoking and drinking alcohol in the Yoga school’s premises. It is advised to abstain from sexual and sensual pleasures during the training for your own good. You should live with simplicity in a pure Yogi way. You are also advised to come with minimum issues and emotional baggage. Try to avoid all the distractions during the training for deeper immersion. We also advise you to avoid useless chatting and engage yourself in personal and group practice. You must be respectful to other mates and teachers in the Yoga center. Last but not the least, you must be open to learn and remain focused on the course only and nothing else. Kindly read Code of Conduct or Rules and Regulations here. What we teach in this course? 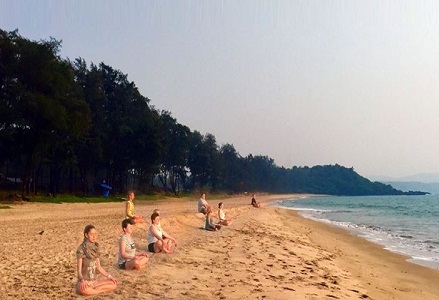 We teach authentic, ancient and traditional Kundalini Kriya Yoga methods which also include nada and mantra Yoga techniques and methods for cleansing the chakras and awakening the Kundalini. The course is comprised of Kundalini Yoga concepts in the form of interative doscourses with teachers, tantra Kundalini philosophy, physiology and detailed explanation and understanding of the Kundalini serpent energy within us. The Kriyas and meditations will bring slow and gradual changes to our mind, body and every aspect of our life. Strict discipline, austerity and persistent effort along with serious dedication is required in order for the aspirant to reach higher on this path. No sudden changes and results can be expected. We don’t teach Yogi Bhajan Style of Kundalini Yoga at Vishuddhi Yoga. However few methods and kriyas might bear similarity with Yogi Bhajan’s form of Kundalini Yoga. 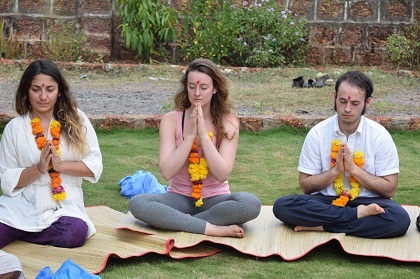 Vishuddhi Yoga follows Yogananda and Shivanada Kriya Kundalini Yoga lineages and we also draw our teachings from traditional classical Hatha, Nada and Mantra Yoga systems. Kriya Kundalini Yoga is the most safest and easiest method of awakening Kundalini to start your personal spiritual evolution. Most suitable for the modern humans as it doesn’t set any condition and strict rules in order to practice unlike other systems of Yoga. There’s no resistance but a gentle persistent effort to air our consciousness through visualization upon psychic centers within our pranic (energetic) body. There’s no sudden disruptions but slow and smooth awakening in the process. Each Kundalini and Tantra Yoga Asana series is done with a specific breathing technique that intensifies the effects of the poses with the purpose of freeing energy in the lower body and allowing it to move upwards within the chakras. Kundalini sequences (Kriyas) may be done in conjunction with a designated breathing method ( Pranayamas) or holding a pose ( locks) while breathing in a particular way. Our Kundalini Yoga class begins with a short chant followed by a warm-up to stretch the spine and improve flexibility. The main focus is the practice of Kriyas, which is a proscribed sequence of poses and pranayama which focuses on a precise area of the body. 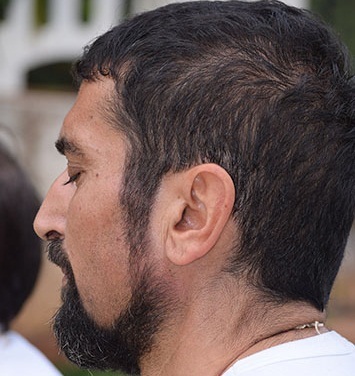 The class ends with a meditation, which is accompanied by the teacher singing closing mantra or prayer. Enrolled Yoga TTC students would get 20% fee concession on Ayurveda courses. Offer valid only for 2 months advance booking online. Early Bird discount for 3 months advance online payment and registration. Kundalini Yoga TTC at Vishuddhi Yoga has insights and teachings from Kundalini and Kriya Yoga traditions. It mostly includes the ancient esoteric knowledge and spiritual insights of right hand path (Dakshina) of Kundalini Yoga tradition being practiced in India for thousands of years. To attain the certification and graduation, you will have to pass a practical and theoretical exam. It is not difficult for serious students to pass the exams. In the practical exam, you will take the role of a teacher, teaching Kriyas and a class for Kundalini concept explanation in front of the group, as well as pranaymas and meditations. The theoretical exam is comprised of a written exam covering the concepts taught during the TTC and course syllabus. Students will be provided a course manual and recommended books which they can buy and refer or read from the school library based on availability.